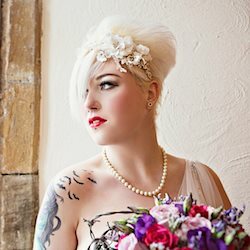 Lorna Lovecraft is an alternative wedding photographer for the creatively courageous, effortlessly elegant, cupcake nibbling, wellie wearing, bold and brilliant bride and groom! If you're looking for something a little out of the ordinary and want unforgettable images to remember your misfit wedding by then Lorna's the girl for you. Take a look at her website for some mouth-wateringly delicious images and you'll soon see what she's capable of. Lorna loves all things goth, steampunk, cosplay and anything unusual, so if you think you'll click with her drop her a message!